Delivery Quote Compare > Uncategorized > Driving through roadworks, worst thing ever? Driving through roadworks, worst thing ever? If you have ever been on a road, ever, you know the pain of driving through roadworks. Of course a lot of roads need work done on them. However, when you’re stuck on the motorway with nothing but cones next to you, it’s easy to forget that fact. For those delivering items across the UK they can be the difference between being on time and huge delays. These things are in place to make sure that there’s no wasting time (especially on A-roads). There is a fine for this, £5000 a day if a pot hole is left without being fixed for too long. However it’s not just fixing the roads that needs attention. Possibly even more common and disruptive is the piping and cables needing fixing. Utility companies can also be fined if they take too long to lay down new broadband wiring. These fines and penalties are there to help keep the disruption down when the work begins. Highways England has said that over the next year they have a few tests to try out. These tests involve the speed limits when driving past roadworks. The current goal is 60mph, which should help all of us get by the dreaded cones easier. The workers have to be safe of course which is why it’s only a test. However, something that has come into action is the Smart-Motorway. Smart motorways, despite the name, are really no smarter than other road. The smartness comes from changing the road layout. This mainly comes about by changing the hard shoulder, either just making it another lane or doing so only when needed. The idea is to let the traffic flow better. However, the works aren’t all done and more roads going through 2019 need resurfacing. All this means one thing, more roadworks on motorways. There is of course the simple way to deal with this. The only way to really deal with roadworks when delivering items across the country or really driving anywhere is to know where they’re going to be. Fortunately there are a few resources to use, ones like the AA traffic tracker which can tell you where roadworks are happening across the UK. 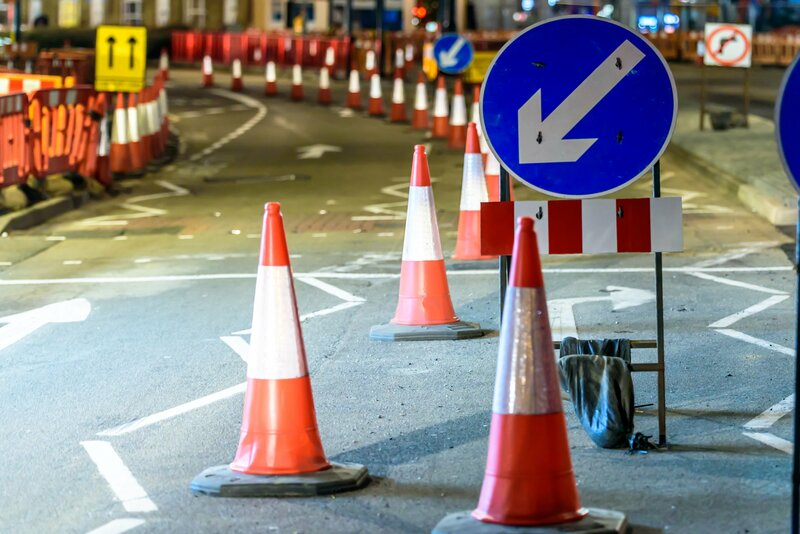 Planning out your route to begin with and starting early can help in avoiding the most annoying cones society ever created.